One of the most reliable indicators of influence is access to cars. 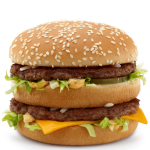 They are the standard symbol of affluence and middle-class status the world over. They are also far more understandable at the everyday level than things like the PPP GDP per capita, or the number of burgers your national McWage will buy. Following on my last post, which focused on production, let’s now examine another indicator: The number of cars bought in any given year per 1,000 people. As we can see from the graph above, Russians (22/1,000 as of 2012) are now buying more new cars per person than any other Central-East European country. Now, this is NOT to say that they are richer than the Czechs (18/1,000), or even the Poles (9/1,000) and Estonians (18/1,000). 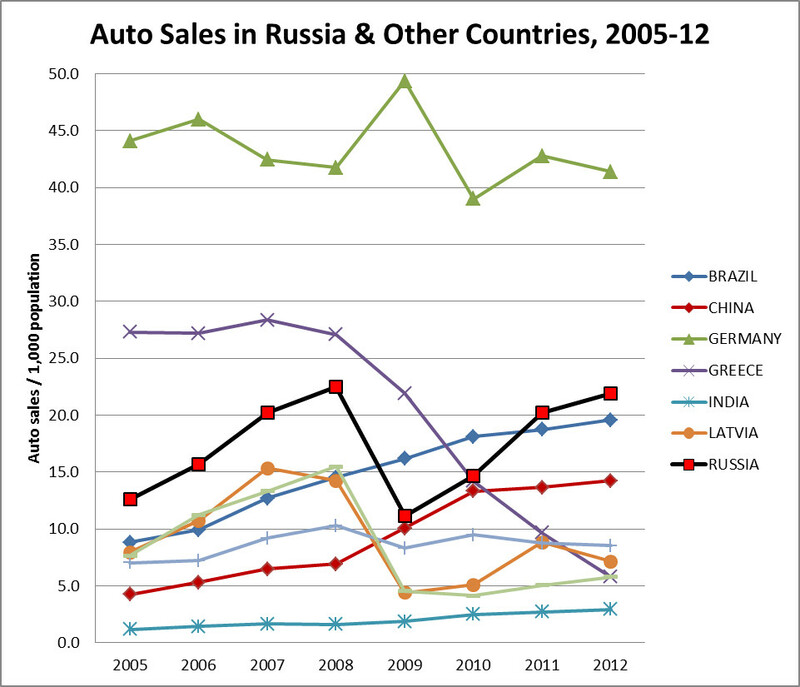 The latter countries’ markets are already substantially saturated and close to Western levels of auto ownership, while Russia still has some catching up to do; furthermore, they don’t have tariffs on imported second-hand cars, whereas Russia’s are quite substantial. 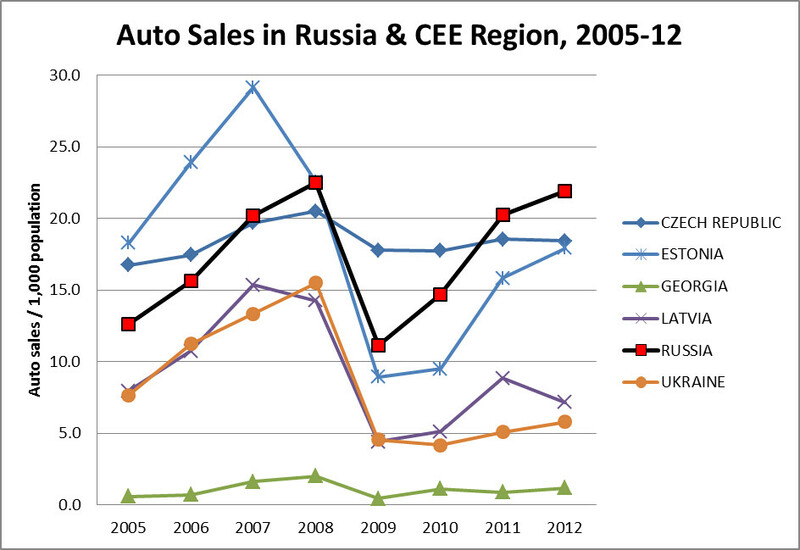 It is also probably true that on average Czechs buy higher quality and more expensive cars than Russians. Nonetheless, the difference between Russia and countries like post-crisis Latvia (7/1,000) and Hungary (7/1,000) are now so wide that it’s hard to argue that the latter are still substantially more prosperous. The difference is of a similar magnitude to today’s Greece (6/1,000), in the wake of its economic depression – and has also gained on other countries that were part of developed Europe but hard-hit by the crisis like Spain (17/1,000), Portugal (11/1,000), Ireland (20/1,000), and Italy (26/1,000). In a very real sense, the fact that ordinary Russians can now more readily afford relatively big-ticket items like automobiles than citizens of some countries long considered to be past of the developed world is quite a momentous affair. In fact, not only are they being overtaken by Russia, but by Brazilians (20/1,000) and the Chinese (14/1,000) too, even if the last BRICS member India (3/1,000) continues to be mediocre. That said, there is still a very considerable gap between Russia and the truly front-tier countries like Germany (41/1,000) and the US (47/1,000).